Exciting things to come! 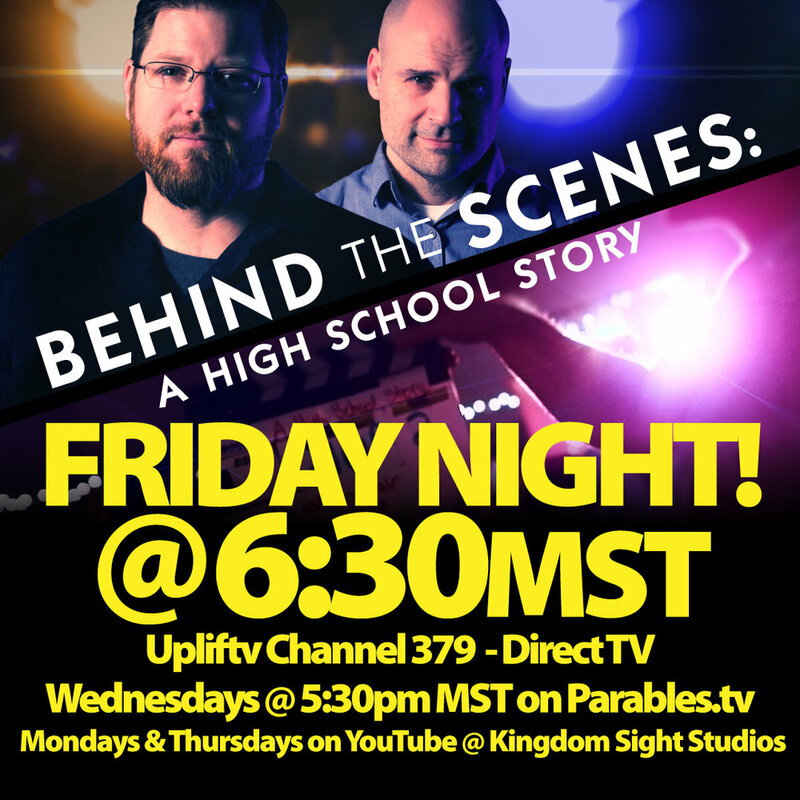 Stay connected with us to find out what is next for A High School Story and Kingdom Sight Studios! Purchase both Kingdom Sight Studios' films for $25! Reserve Your Spot at Homecoming! Blessings from Kingdom Sight Studios! We are just a little over a week away from our big homecoming shoot! We know there has been a bunch of talk around the evening, so we wanted to update you with a few more details about the event. Saturday, November 26th at Faith Bible Chapel (Faith Christian Academy Middle School) West Gym 6250 Wright Street, Arvada, CO 80004 11am-9:30pm. *This is a location change from the schedule and extras schedule. Our primary objective is to create a fantastic homecoming atmosphere for the film and watch it come to life. In order for the scenes to come alive we need lots and lots of student extras from 11am-4pm. Our scenes will not come to life without your help during these specific times, so please come and join us for a super fun filming event. We need for you to dress one of two ways, first 80's movies (please do not dress as characters from the movies Breakfast Club, Star Wars, Dirty Dancing, Princes Bride, or Footloose because those costumes belong to our main characters). There are several other great 80's movies like the Goonies, Karate Kid, Back to the Future, ET and more. If you can't find an 80's movie then any 80's theme would be fantastic. Think of big crimpy hair, bright colors, puffy shoulder pads.... which you can find some amazing crazy 80's looks online. After we have completed filming our homecoming scene we will be throwing a homecoming after party (5pm-9:30pm). Cast, crew, extras and family members that have invested in helping with the film are invited to join us for a night of music, comedy, and fun. Here is the catch..... TICKETS ARE REQUIRED!!! We have limited space and need each person attending to reserve tickets for the evening's events. Please use the URL link to reserve your FREE tickets. Please invite a friend! We need lots of students to fill the 11-4pm time slot for filming.